During the four-year International Talent Programme you create your own career within Risk Management. You learn more about your chosen discipline, the financial services sector and yourself. The world of banking is changing faster than ever. You can enjoy the best international experience in our Risk Management traineeship. During the four-year International Talent Programme you create your own career within Risk Management. You learn more about your chosen discipline, the financial services sector and yourself. Do you want to have an impact on not only the financial lives of close to 9 million customers but also the bank of the future? Discover how you can today. The world of banking is changing faster than ever. That’s why we at ING are always broadening our horizons. Our people have a forward-thinking mentality, a strong can-do spirit and enjoy working in an agile environment. Our traineeship gives you the best international experience you could wish for. Do you want to know more about our International Talent Programme? Jump on. Above all, ‘change banking’ means taking action. The financial world is currently facing many changes and as a Risk Management trainee you play an important role in tackling them. The findings from the analysis you perform, mainly on behalf of Retail and Wholesale Banking, will influence our company results and the risks we are prepared to take. Therefore, you need to have a strong sense of self-belief and stand behind your decisions. In your first year (the so-called rotation year) you set to work on projects related to Credit & Trading Risk, Balance Sheet Risk or Risk Services. You are handed a lot of responsibility within your role right from day one. You are completely free to decide on your second rotation for yourself; you could even choose to do it abroad if you wish. After your very diverse first year, you proactively seek a longer-term role in line with your personal preferences and interests. That position is the basis for your further growth into a more specialised role with broader responsibilities. Needless to say we offer you an excellent basic salary for this traineeship (starters position), a 13th month, paid annual leave, an impressive training package (e.g. your CFA) and a permanent contract. At ING, you’re given the chance to put your talent to good use where it really matters: at the heart of the bank. Your analysis and recommendations will lead to a carefully considered risk profile that enables the bank to make a healthy profit but above all ensures the safety of our customers’ money, both now and in the future. Together with other (international) trainees you will participate in global events, which will enable you to quickly build up a large network. You can also embark on an international adventure, which is not only great fun but is also good for your personal and professional development. As a trainee you receive guidance from your line manager, a HR coach and a Senior Manager in a mentor’s role. They will coach you, inspire you, introduce you to their network and share their knowledge and insights with you. You have a master degree from a university, preferably in econometrics, economics or (quantitative) finance (and degrees in mathematics, engineering and physics will also be considered). To find out more about the ITP programme, our trainees’ experiences and the application procedure. Upload your complete application: CV, motivational questions and grade lists (Bachelor and Master till now) in English. Please note that the results will remain definite for a future application for one of our traineeships. This means that you cannot apply again after not passing a step in the procedure. 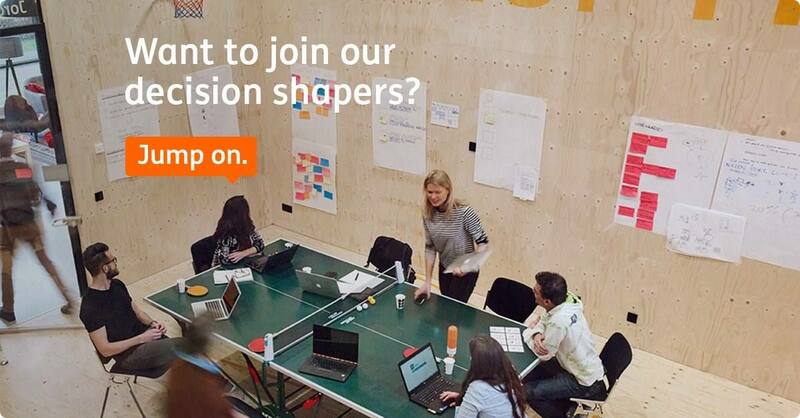 Please send your application for Traineeship - Risk Management October 2019 at ING in Amsterdam including your CV, motivational questions and grade lists via our website.